Our mission is to provide financial assistance and support to those living with breast cancer and fund ground breaking breast cancer research. To help us help those who need it most, PLEASE DONATE TODAY. With your generosity and support, we are able to care for people with breast cancer. Every dollar donated to The DONNA Foundation is equal to $5 in care and resources when distributed by The DONNA Foundation. The DONNA Foundation, a 501(C)3 nonprofit organization established in June 2003, provides financial assistance for the critical needs of those living with breast cancer. 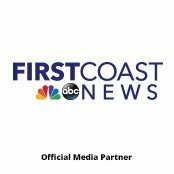 Our mission is to provide economic assistance and emotional support to individuals living with breast cancer and fund groundbreaking breast cancer research. To date, The DONNA Foundation has served more than 11,000 families by providing more than $5 million dollars in relief. Additionally, we helped to develop and maintain the Mayo Clinic Breast Cancer Translational Genomics Program. Ongoing funding from the foundation makes it possible for the laboratory team to not only conduct state-of-the-art breast cancer research, including the widely-publicized Triple Negative Breast Cancer Vaccine Trials but also to provide genomics support for studies in all cancers. 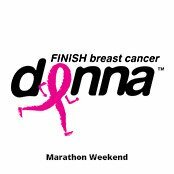 The DONNA Foundation is committed to supporting families in need and ultimately, finishing breast cancer.